Below is an archive of the PDF issues of the Newsletter since 2011. These are available to subscribers only. You can purchase access to the entire archive and the next year’s PDF issues delivered by email on publication for £30+VAT. Legislation.gov.uk: finally up to date? Direct access – how is it going? Technology and access to justice: the end of the beginning? An intelligent robot lawyer – really? What are chambers’ websites for? A snoopers’ charter for employers? Is the Privacy Shield adequate? Can ODR deliver better access to justice? Veyo – the future of conveyancing? How much do you value your contacts? Generating business online: are you contented? Do we remember the point of the “right to be forgotten”? Legal services – who are you afraid of in 2014? Under a cloud of suspicion? Are your online efforts working? Disruptive technologies – you ain’t seen nothing yet! Legal service providers – who are you afraid of? News v blogs – which is best? The end of personal injury lawyers? Barristers Public Access: How successful has it been so far? Who owns copyright in judgments? The end of print? Not yet! 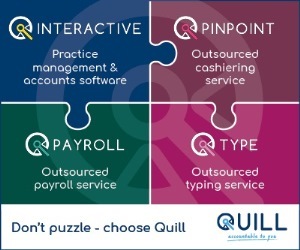 QualitySolicitors – how is it going? Is free law good enough? Should lawyers give free advice to attract clients? The rise (and rise) of the iPad lawyer? 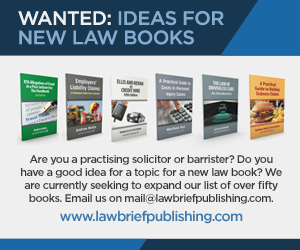 Law publishing – the end of print? 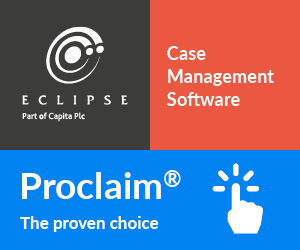 Do law firms need a CRM solution? Social networking – do you get it? Blogging – been there, done that? The paperless office – second time lucky?